Winter recreation has been a popular tradition within the boundaries of Yosemite National Park for decades, and ice skating is no exception, with an ideal outdoor setting for winter fun. At the Barn Lodge in California, family fun isnâ€™t just for summer, but all year round. 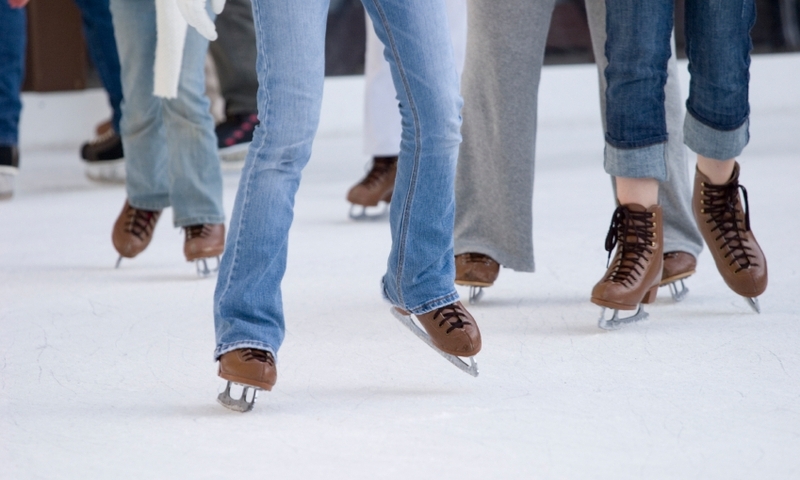 The Curry Village Ice Rink, located at the Curry Village recreation center, has been accommodating wide-eyed and happy skaters for over 70 years. Come experience this memorable Yosemite tradition, complete with an outdoor fire pit and ready provisions for S'mores available all winter. Considered by many one of America’s top ten ice rinks, this one demolishes the competition with scenery alone. Coincidentally, it is also one heck of an ice rink! Weather conditions permitting, the Curry Village Ice Rink is open from the middle of November to early March. Rental shops will provide the less-equipment-savvy skaters with some gear, and retail shops can take care of any complications with the cold (California does get cold from time to time, contrary to popular belief). The Park prefers that you provide your own legs, but pretty much has everything else covered!